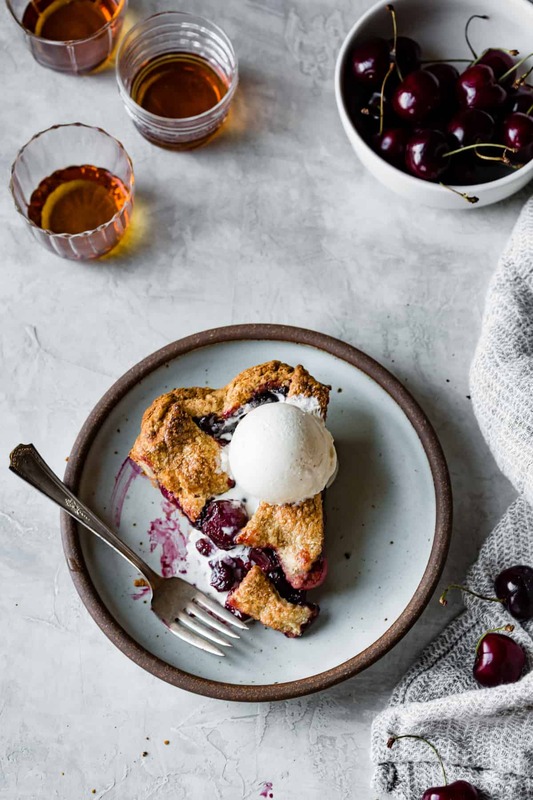 Kissed with whiskey and a hint of cinnamon and chile and nestled in a gluten-free, whole-grain crust, this wildly flavorful dessert will make all your spiced bourbon cherry pie dreams come true. 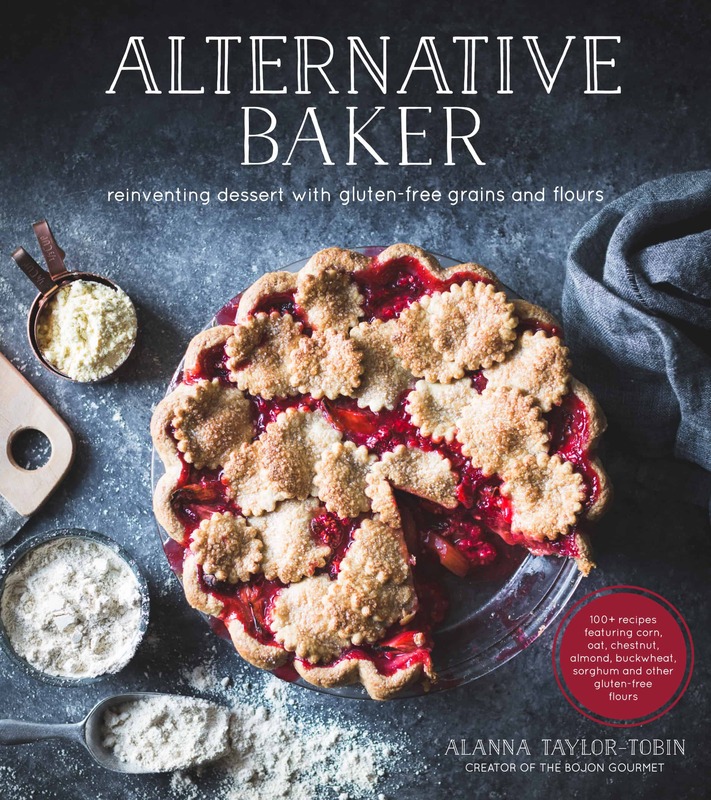 Adapted from my cookbook Alternative Baker: Reinventing Dessert with Gluten-Free Grains and Flours. This pie is inspired by one of my favorite people in the world, my niece Cierra, who’s about to enter her senior year at Marymount Manhattan where she’s studying musical theater. My sister and I visited NYC this past spring and one of the highlights was seeing the musical Waitress, written by and starring Sara Bareilles. My sister and I were so moved by the music, plot, and characters that it took us a good 15 minutes after the lights came up of dabbing our eyes, looking at each other and laughing, then bursting into tears again, before we could get up and leave. 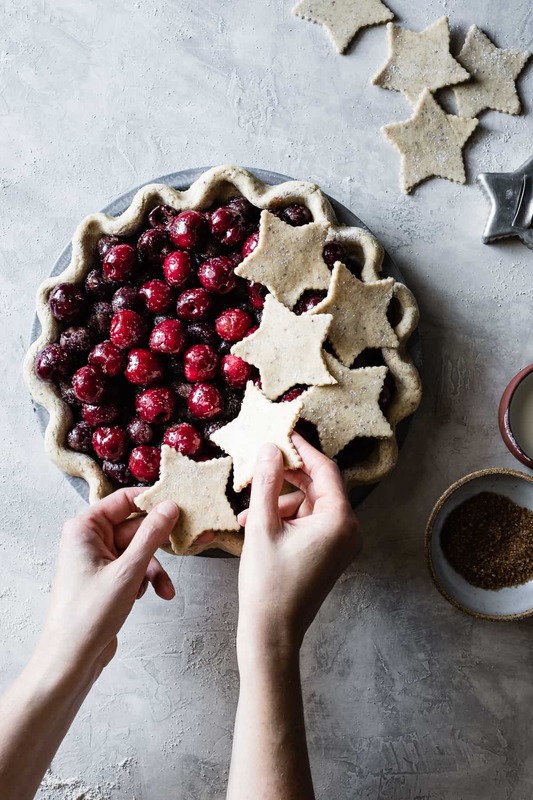 But phenomenal singing, dancing, acting, songwriting, and production quality aside, the thing that impressed me the most was when Sara Bareilles MADE PIE CRUST ONSTAGE. This gifted goddess casually rolled out the dough, pressed it into the pan, trimmed and crimped it, all while reciting lines in a southern accent in front of hundreds of people. Not gonna lie: if I had to make my pie dough in front of hundreds of people, I would cry even harder and longer than I did after Waitress’s stirring finale. While I’m fond of my pie dough’s abundance of flavor from oat, millet, and chia, its lack of xanthan gum, and its fabulously flaky finish, it’s undeniably a beast to make. 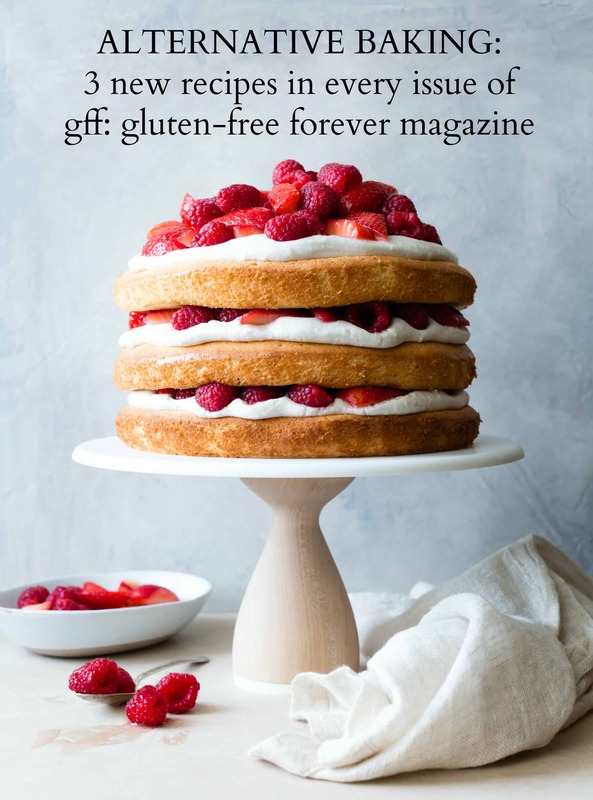 It contains 3 flours, 2 starches, and ground chia seed in addition to the usual suspects – butter and a bit of salt and sugar. 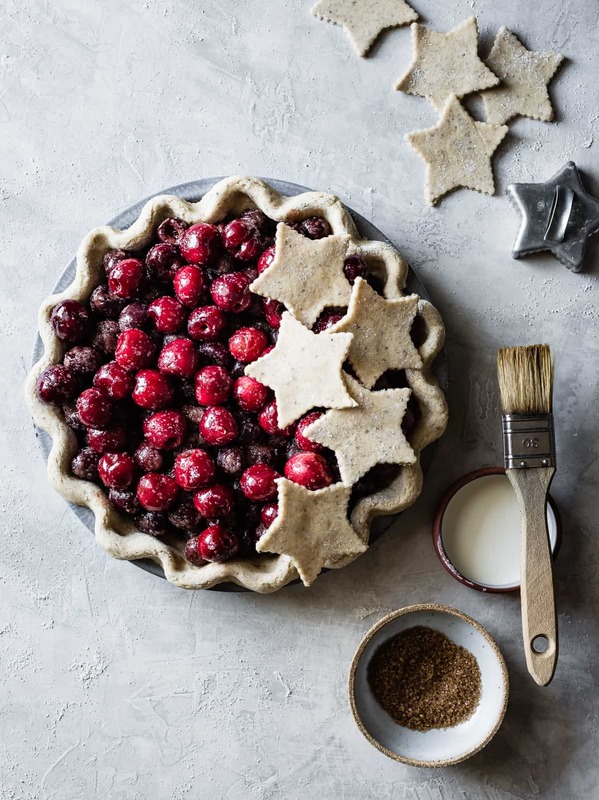 It also uses buttermilk, which I keep around pretty much for the sole purpose of making pie dough – luckily it keeps FOREVER, much longer than the expiration date lets on. While all of these ingredients add up to big flavor and flake, putting it together can be as daunting as singing karaoke to a 3-octave Sara Bareilles song (which is something I did not attempt while in NYC despite having the opportunity). Next, there’s the whole cutting in the cold butter thing, then adding just the right amount of liquid to form a dough that holds together but doesn’t get overly sticky and tough. This mixture chills, and then in order to get a workable dough, you have to laminate it in the manner of croissant dough, by rolling it out and folding it up a couple of times. At first, the dough is nightmarishly crumbly to roll. As the rolling pin glides over dough that wants to break apart like the universe accelerating into entropy, it will begin to stick to the work surface. Heaven forbid you try to flip the dough over – it will give an evil chuckle before dissolving into particles between your fingers. Instead, use a bench scraper to move the dough off to the side, dust some flour on your work surface, and move the dough back. When you’ve made it through one “turn” (folding the dough in thirds like a letter, then in thirds again the other way), the hard work is done. The second time you roll the dough it will be far more pliant and smooth, and after the second turn, you’ll be able to work it *almost* like wheat dough. 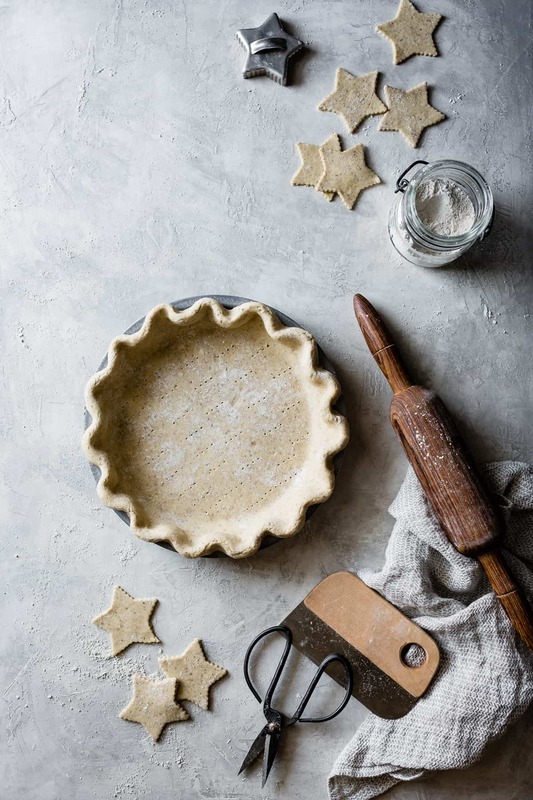 You still won’t want to shape this crust before a large audience of Broadway theater-goers, but trust me – you’ll be able to muscle it into the pan only shouting a few expletives (in a southern accent or otherwise) along the way. I’ve managed to streamline my pie dough process a bit by making the initial dough in the food processor. The trick to keeping the butter in large enough chunks is to cut the dough into slices, not cubes, and only begin to pulse the mixer as you add the liquid down the feed tube in a slow and steady stream. If done correctly, this will result in evenly moistened dough with butter chunks that vary from tiny peas to large lima beans, which is just what we want. Since this dough is free from gluten, it can handle more liquid than wheat dough. It benefits from being a bit on the wet side which makes it easier to work. 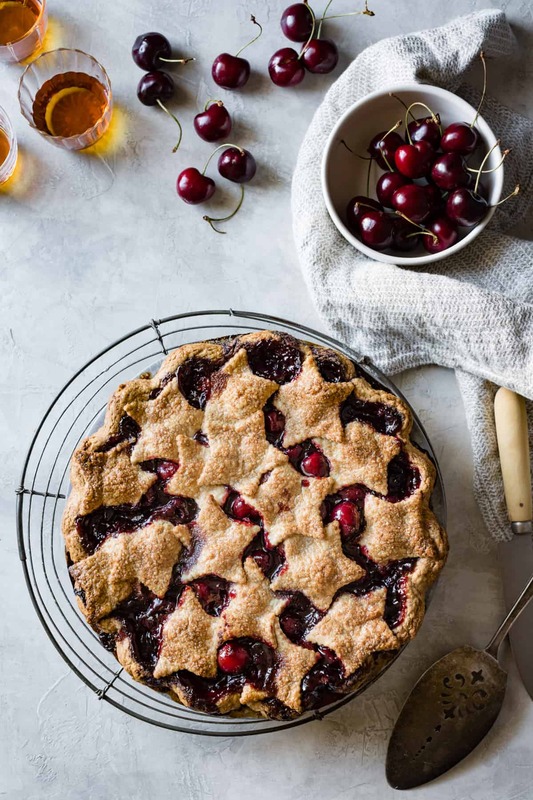 Sweet, dark cherries bake into a chunky jam studded with juicy fruit. 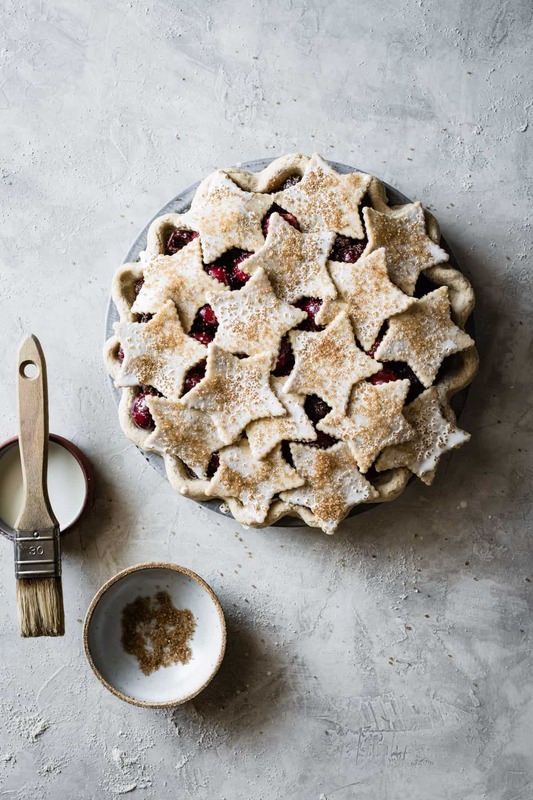 The bourbon and spices add beguiling depth of flavor while letting the fruit hog the limelight, and just enough sugar and cornstarch thicken it into a sliceable consistency. All of this burgundy goodness contrasts the aforementioned flavorful, flaky pastry which I showered in a sprinkling of smoked sugar (though any coarse sugar will do the trick). 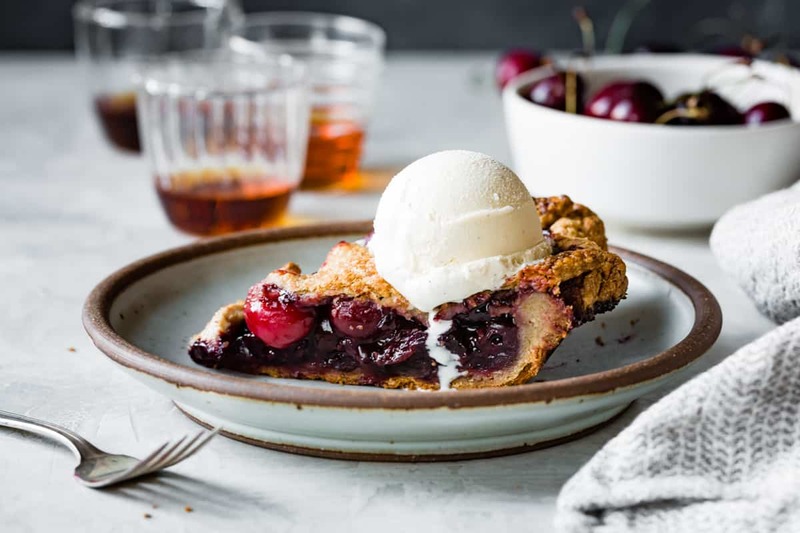 Bite into a slice of this spiced bourbon cherry pie topped with a drippy scoop of vanilla ice cream, and you’ll forget within seconds all the effort that went into making it. This pie is adapted from my cookbook Alternative Baker and it boasts a crust made with whole grains and no gums. That said, feel free to swap in your favorite pie crust if you prefer; you’ll need enough for 1 ½ single crust 9-inch pies. 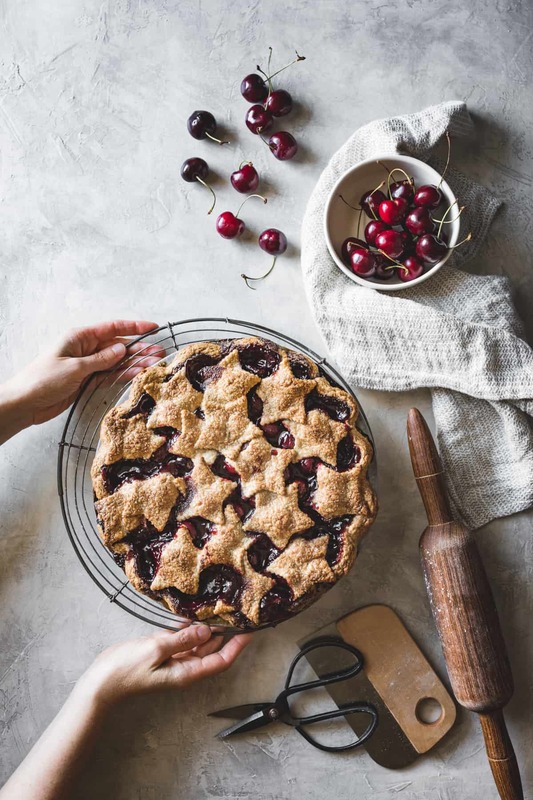 I used a mix of fresh and frozen cherries which worked out well; the frozen cherries broke down into more of a chunky jam, while the fresh ones held their shape. Feel free to use all fresh or all frozen, or a combination. 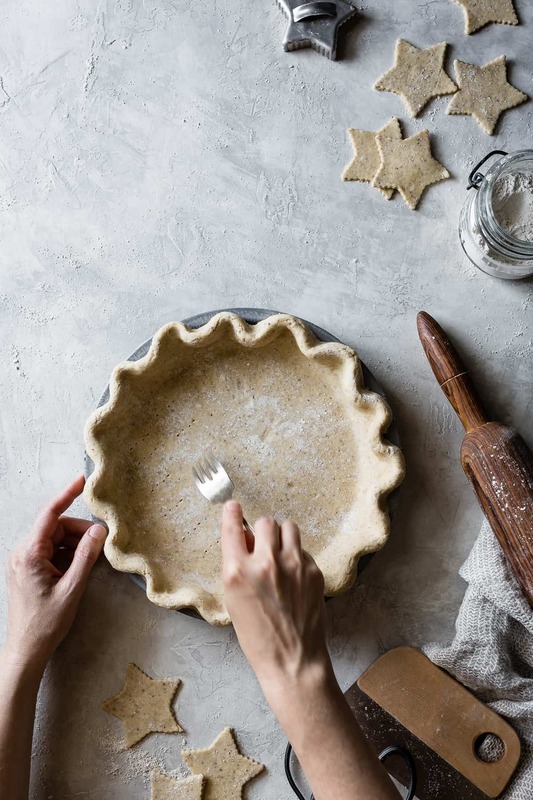 The pie dough can be made up to several days in advance, and I recommend making it at least one day ahead to ease prep on the day of baking, and to allow the dough to absorb moisture which results in a nicer texture once baked. Be sure to source a certified GF whiskey or other spirit if you or your guests are sensitive to potential trace amounts of gluten lurking therein. 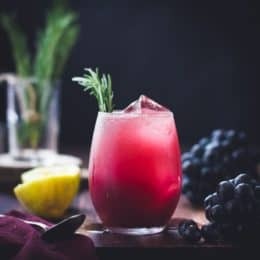 If you prefer to leave off the alcohol altogether, decrease the cornstarch to 3 tablespoons and replace the whiskey with 1 tablespoon lemon juice. Position a rack in the lower third of the oven, top with a baking stone if you’ve got one and preheat to 425ºF (220ºC). Line a rimmed baking sheet with parchment paper for easy cleanup. Place the pie on the lined baking sheet and slide into the oven on the baking stone. 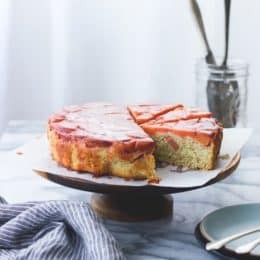 Bake at 425ºF (220ºC) for 15 minutes, then decrease the oven temperature to 375ºF (190ºC) and continue baking until the crust is golden and the fruit is bubbling thickly, 35–50 more minutes. (Err on the side of overbaking lest you wind up with soupy filling that doesn't set.) 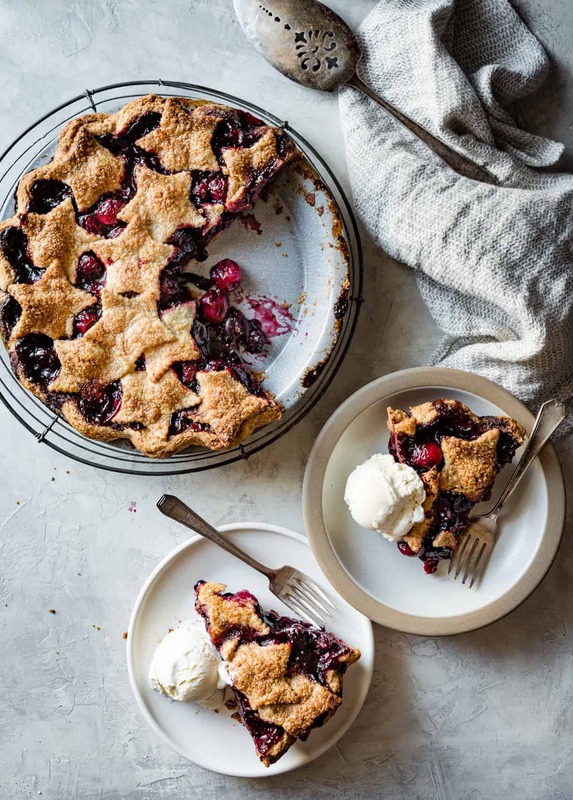 Let the pie cool completely to set the fruit, at least 2 hours, then cut into wedges and serve at room temperature with ice cream. The pie is best shortly after baking and will keep at room temperature for up to 1 day, or refrigerated for up to 3 days. 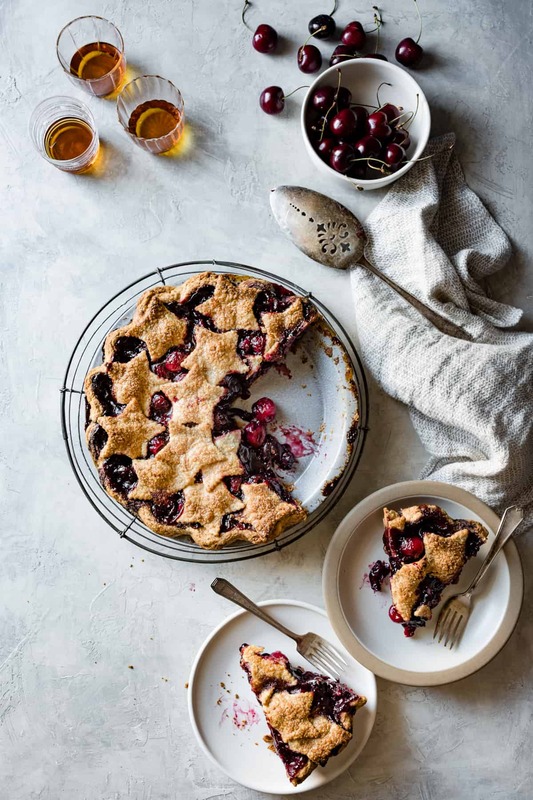 what a beautiful pie, both as a subject of your photographs and as a recipe, what a nice twist with the bourbon, lovely and sophisticated, thank you for this recipe! You made that dough sound way hard. Not a great way to promote your product. I made your dough for the first time last weekend, and it was pretty easy. It was only the third time I’ve ever made pie dough. One died before it began, one was okay but not flavorful, and this one was almost as compliant as a gluten dough but way more flavorful, even after being over baked in a suspect quiche recipe. You’re right it does like to be hydrated. That was the one issue I ran into. After resting the dough overnight in the refrigerator, the flours had taken up all the moisture and made the dough too dry. I had to add in more water. It was still tender thanks to the lack of gluten, and it flaked well with only one folding. 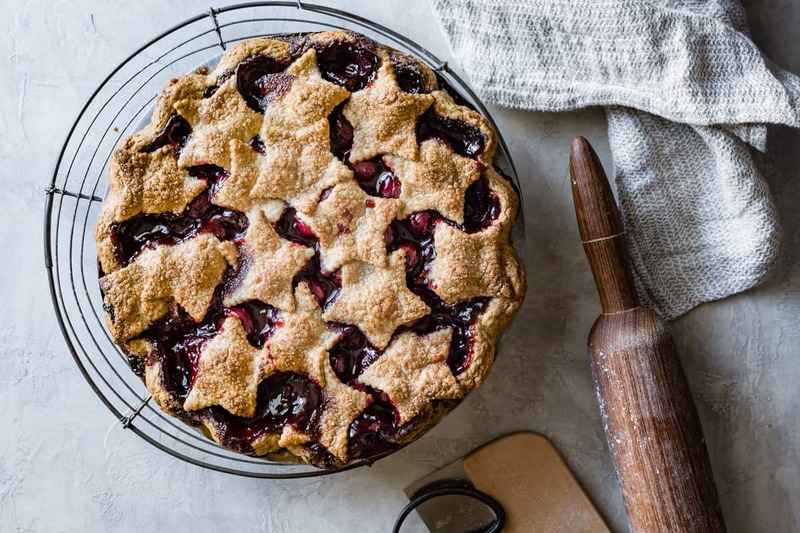 When we get Twin Peaks season 3, I’ll be making this pie. 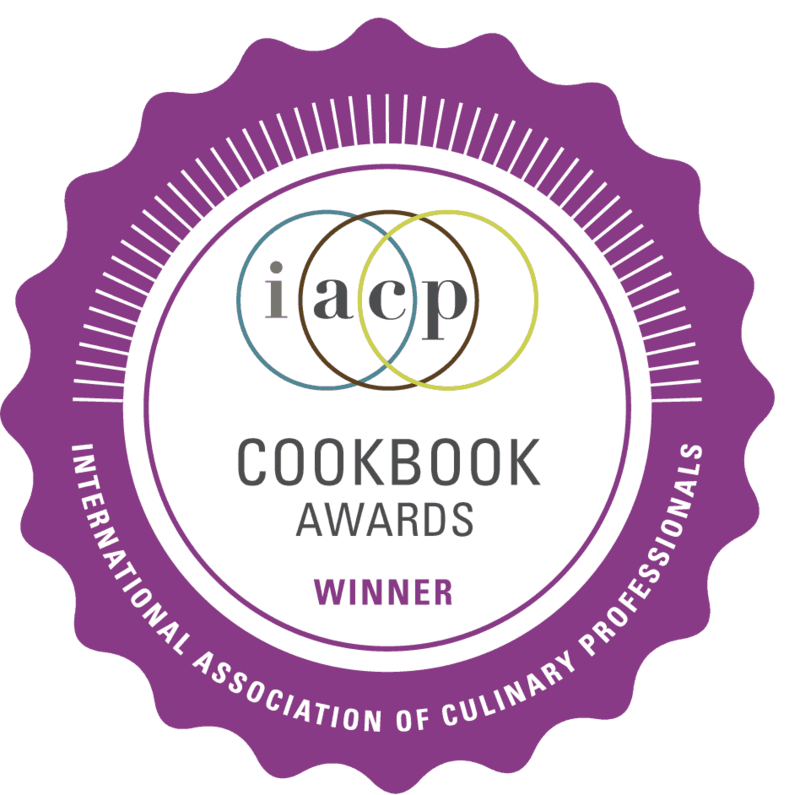 I’m so glad you like the recipe and that you don’t find it too much of a pain to make – I really appreciate the feedback! Yes, this’ll be perfect for Twin Peaks, haha. 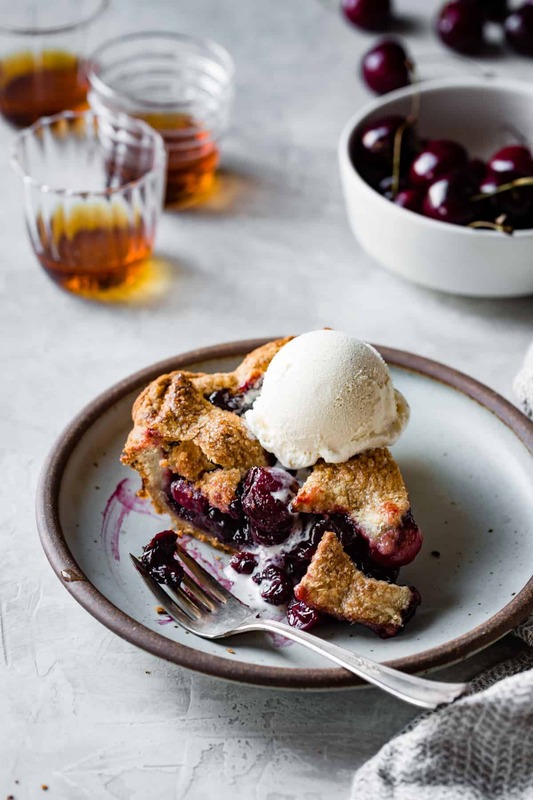 wow you have taken two my favourite things, cherry pie & bourbon and made them better! 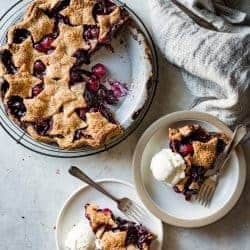 i am absolutely making this pie as soon as i can get good cherries here in Aus! Do you think this would work with lard? I’m cooking for celiacs with egg and dairy issues. Your blog is just great by the way. As someone in the food industry, I appreciate the thoroughness of your recipe testing. Nice work, lady! Hi Claire! Thanks so much for the kind words – that means a lot to me! I’ve never worked with lard so I can’t be sure. I’ve made this crust with coconut oil, and it’s a little more crumbly and difficult to work with than the butter version. 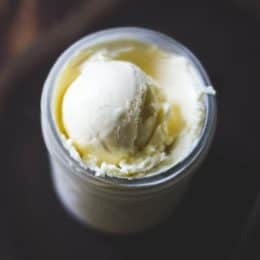 Some readers have had good success using a vegan butter – you’ll want to decrease the salt if using something salty. Please let me know what you try! I would like to make this for my future brother-in-law this Thanksgiving, but buying all the different flours feels like it might get expensive. If I used a gluten free mix would this recipe still work? Hi Xander, that’s a really good question (and I totally understand not wanting to buy all those flours for the first time, haha!) I *think* I tried making this with Pamela’s a couple of years ago and it was AWFUL. I like their mix for cakes and things, but didn’t have good luck with it here. That said, Cup 4 Cup or Bob’s 1 to 1 might be good ones to try. Please let me know if you experiment! This is such a helpful comment, Kamisha! I can’t find millet flour but I have hulled millet and a Vitamix , so I am almost there.